Auto Attendant is a voice menu system that presents a menu of choices to inbound callers and routes them to pre-determined internal telephone numbers, staff directories, or to pre-recorded announcements. Auto-attendants are most commonly used by departments who receive calls that need to be distributed across two or more groups. Up to nine options for callers to select from per menu tier. 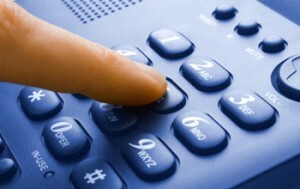 Please note, however, that callers respond best when presented with only a few concise menu options. Different menus for different times of day (e.g. business hours, after hours, and holidays). Ability to repeat menu options. Ability for options to play informational announcements (like directions). Auto-attendant reports can also be setup by the Division of IT and sent to departments weekly and/or monthly. These reports provide a summary of the calls processed by the auto-attendant and can help departments better understand their call volumes and required staffing levels. The auto-attendant service is $3 per month per menu tier (most auto-attendants are setup with a single menu tier). Phone service is also required for the auto-attendant service. Standard labor charges of $63 per hour, with a one-hour minimum, apply for the initial setup and any subsequent changes of auto-attendant menu options and greetings. Go to doitservices.missouri.edu to request Auto Attendant service. Login to the self-service portal with your University user id and password, select Service Catalog, and search for Auto Attendant. Phone service is required for the Auto Attendant service.